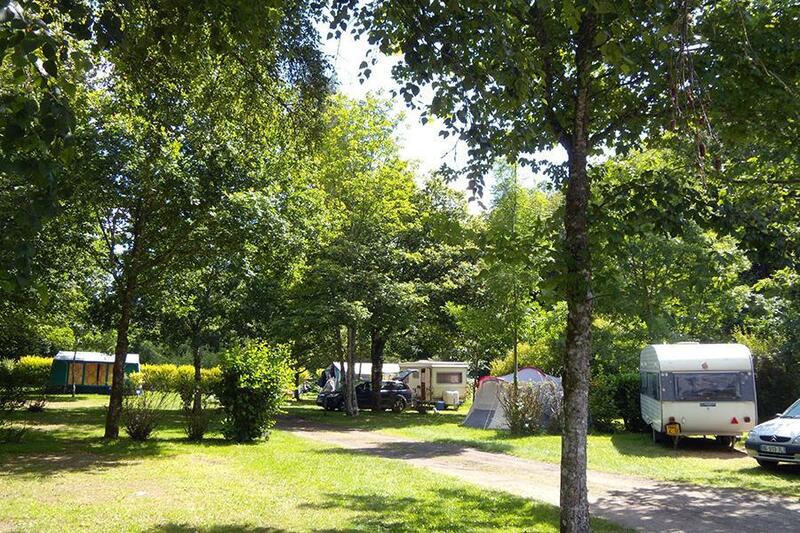 At Campsite La Rivière d'Argent in Huelgoat (Finistère) camping costs as little as €16,- per night during low season with CampingCard ACSI. At one of the 84 touring pitches you will get a discounted rate during the period 05-04-2019 - 05-07-2019 and 23-08-2019 - 31-10-2019. At this campsite you can not only use your CampingCard ACSI for inexpensive camping, you can also use your ACSI Club ID (as an alternative ID). Well maintained, very peaceful campsite set in woods by a lovely little river. You will wake up to the birds. A good starting point for walks. Opportunities for fishing. The north, south and west coasts can all be reached within an hour by car. Heated indoor pool. This site is in a lovely location, scenic and quiet by the river. The indoor pool looked nice although we didn’t use it the people who were in were enjoying it. Water close to the pitch and WiFi was fine near the office. Splendid walks for dogs all on site, if we are in the area again we would definitely go back. This is a lovely, friendly little site set by the side of a river and wooded throughout. The pitches are spacious, and there is a really lovely L-shaped swimming pool. The surrounding area is amazing, with magical forest walks, massive, unbelievable, tumbledown stone formations of giant rounded stones in/by a river, and a lake to kayak on, all in the middle of a National park. On ACSI this is fantastic value, and easily worth a weeks stay or more. Lovely campsite in natural surroundings. Magnificent wooded valley walk to Huelgoat. Voie verte cycle track from Roscoff to Carhaix close by. Facilities are modern and clean. Staff helpful although limited English spoken. Very enjoyable stay. Well situated for exploring the area both on foot and by bike (voie verte nearby). Helpful advice from owner about routes. Early season and a bit shabby but lovely to look out on the river. Flat, very quiet pitch which had dried out well after a wet winter. Good sized pitches but very shaded because of being in the forest. The surrounding area is very interesting. Would you like to book Campsite La Rivière d'Argent or request more information? You can do both using the information below. From Guingamp take the N12 to Morlaix. Pass this town via the D785 and the D764 to Huelgoat. From the centre follow the signs 3 km in an eastern direction. CampingCard ACSI will send your information request to "Campsite La Rivière d'Argent".